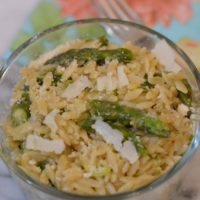 This Instant Pot Garlic Parmesan Orzo With Asparagus is so darn delicious I could not stop eating it. I have this neat little trick that I started playing with my boys when they were younger. I will buy a vegetable in season and then decide this dish I will be preparing. I used to take my boys to the farmer’s markets and let them pick out the fresh vegetables that we would buy. Earlier this week when I was in Costco, I saw they had bags of asparagus and I knew I needed to buy them. 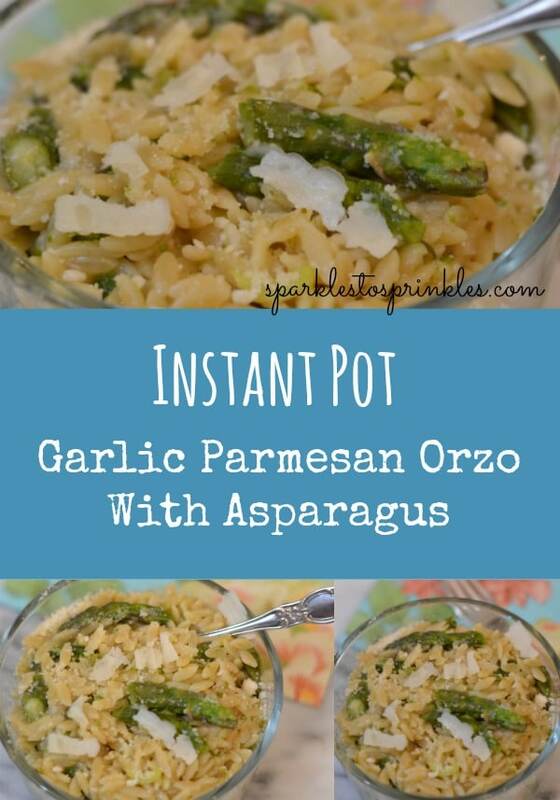 I decided on this Instant Pot Garlic Parmesan Orzo With Asparagus and boy am I happy I did. Every one of my boys enjoyed this dish and ate every bit of it. Talk about a mom score! This dish pairs perfectly with a delicious steak. If you have not tried my steak marinade yet, you NEED too! 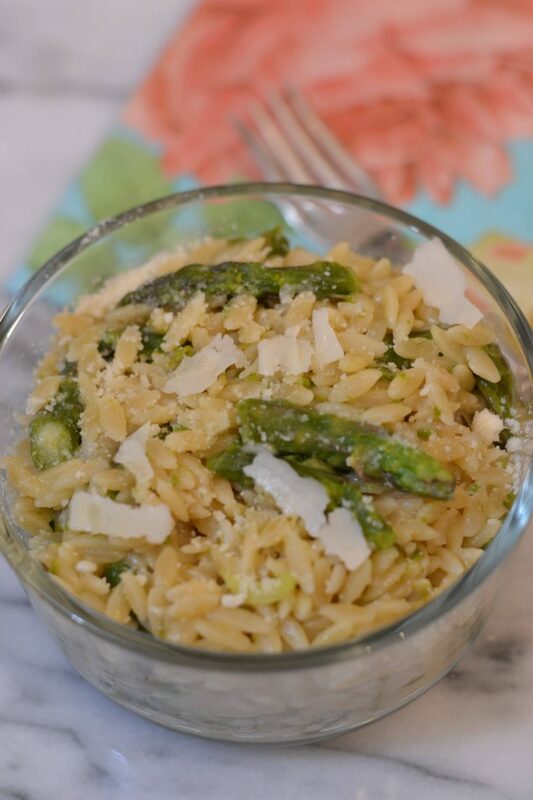 This Instant Pot Garlic Parmesan Orzo With Asparagus is so delicious and easy to make! it takes 5 minutes to prepare this dish and 4 minutes to cook!! Turn on your pressure cooker's Sauté function Add the butter. Add the onions and cook until translucent, stirring occasionally. Add the garlic and cook for about 30 seconds, stirring constantly. Then place the lid on, locking in place. Set the Steam Release Knob to the Sealing position. Press the Pressure Cook/Manual button (or dial) and the + or - (or dial) to select 4 minutes. When the cooking cycle has finished, immediately turn the Steam Release Knob to the Venting position (Quick Release). When all of the steam has vented, and the pin in the lid drops down, open the lid.